NeuroRestorative Maine is seeking a Board Certified Behavioral Analyst to serve the Southern Maine and surrounding areas. We offer a supportive team environment, career advancement opportunities, and a family-oriented culture to complement our benefits package. NeuroRestorative Maine offers home and community-based services to adults with acquired brain injury. 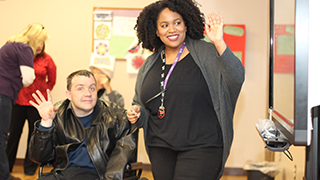 With program locations throughout the area, NeuroRestorative Maine offers a range of residential services with supports tailored to meet the needs of each individual, designed to allow each individual to be as independent as possible. *Work closely with our individuals and staff to observe, identify, analyze, and document a range of behavior challenges. *Develop and implement Behavioral Analysis Service Plans. *Create individualized treatment plans to help each individual improve. *Using training and creativity, explore ways to handle challenging problems for our individuals in home settings, workplaces, and the community. *Train team members to reinforce implementation of behavioral plans. *Visit programs for follow-up and ongoing evaluations to realign plans as needed. We have a great work environment and you’ll be surrounded by a strong and supportive team of peers, leaders and colleagues. NeuroRestorative Maine is a partner of The MENTOR Network. Founded in 1980, The MENTOR Network is a national network of local human service providers offering quality, community-based services. With approximately 30,000 employees serving 26,000 consumers in 35 states, you'll have career opportunities from coast to coast. When you join The MENTOR Network, you’ll make a difference every day and help to provide quality of life enhancing services to individuals across the country. Master's Degree in psychology and Board Certified Behavior Analyst (BCBA) certification. One year experience working with special populations in crisis intervention, staff training and development. Conduct research in behavior analysis within an applied setting preferred. Completes structured assessment interviews with parents/care providers/guardians. Conducts observation of the individual in appropriate settings such as home, school, or community. Reviews social history information, completes functional assessments, and targets appropriate behavior base line information for each referred client. Writes and submits summary of assessment and recommended behavior support plan components to interdisciplinary team (IDT) or program manager as applicable. Encourages continuous, age appropriate, active treatment and learning opportunities for individuals served. Advocates for the human rights and civil rights of individuals receiving services from the agency by attending and presenting behavior support plan information to human rights and other review committees. Supports and trains staff in implementing behavior intervention plans and conducts classes and orientations as assigned by the program director. Attends staff meetings and interdisciplinary team meetings, as applicable. Assures that documentation and records are kept confidential, organized, and complete. Submits monthly documentation to supervisor in an accurate and timely manner. Develops and maintains professional relationships with local contacts, other professionals, and staff members.